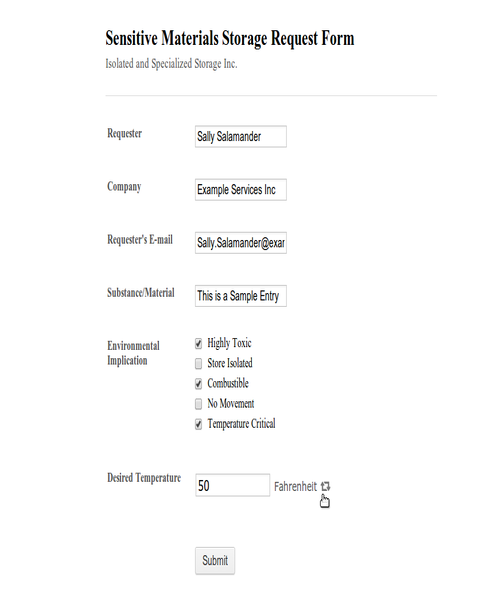 If your form has a question where your users need to specify a temperature value - then this is the ideal widget. It resolves the age old problem of converting values between Imperial and Metric Units, that is, Degrees Celsius and Degrees Fahrenheit. 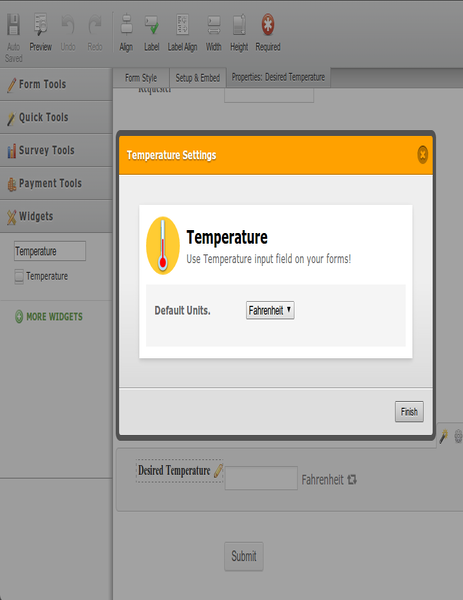 The widget allows your form users to select which temperature units (Celsius or Fahrenheit) they would rather use. 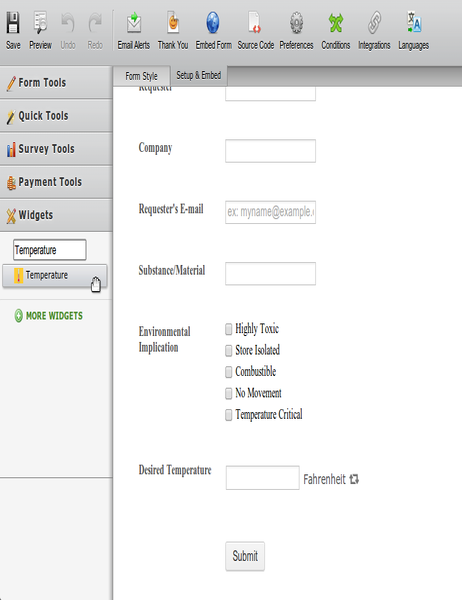 The widget then coverts the value and presents the entered value alongside its converted equivalent. 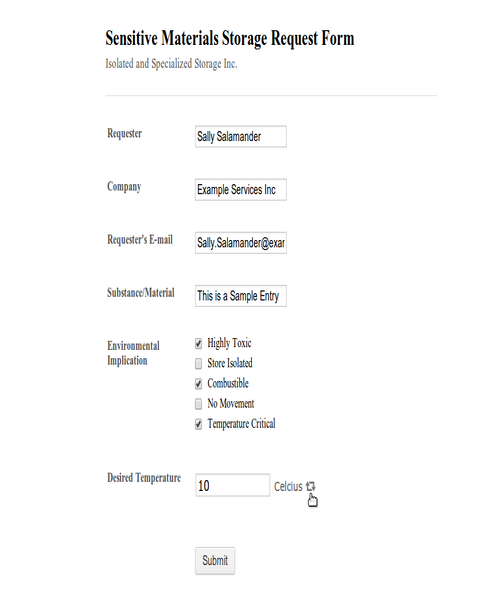 All you need to do is add the widget to your form, and specify the default unit that will be displayed when your form is opened.